Sheng Ya CD-S10 and Kavent CD-731. Identical innards with different faceplates. 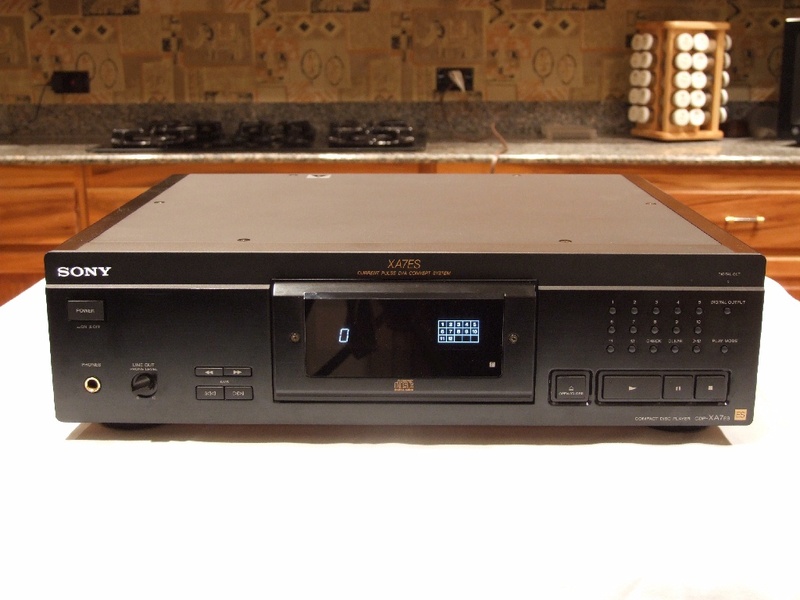 Sony's top of the line (MSRP $3,000) CD player from 1998. I bought this out of curiosity because of all the hype about this player. 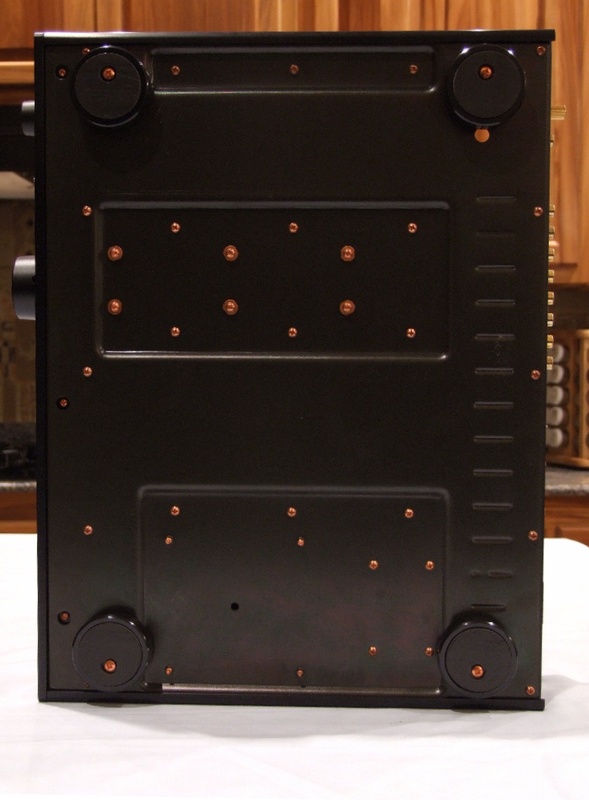 I was very impressed with the heavy duty construction, all copper anti-resonant frame, and ergonomic features. I was not at all impressed on the first listen. 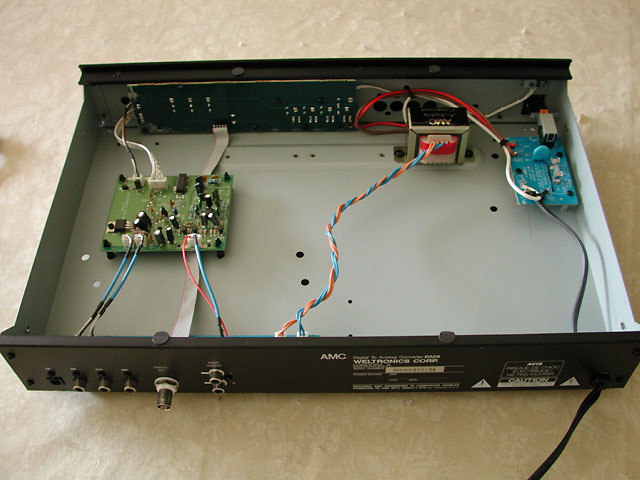 I had read reports that the XA7ES needed some modification to reach its full potential. The first thing I did was amputate the captive 18 gauge power cord and replace it with an IEC jack. 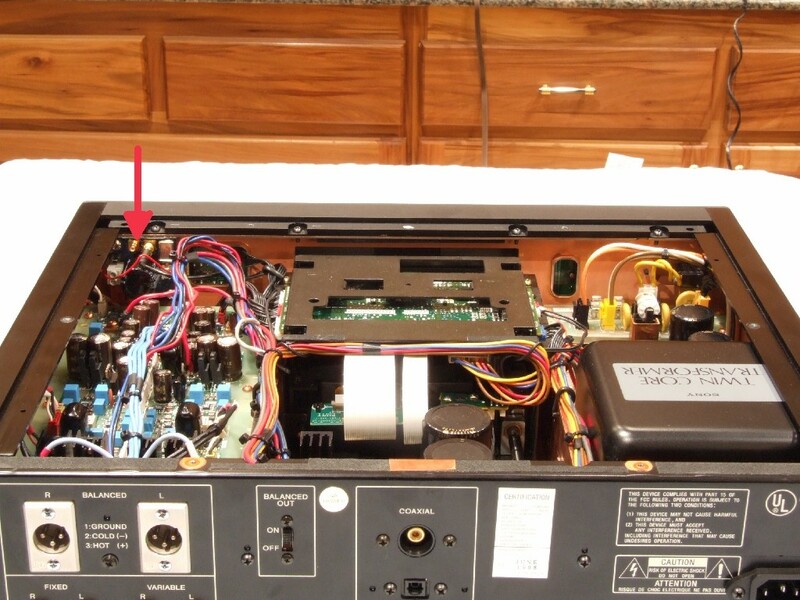 Internally, I ran 12 gauge wire from the IEC jack to the power supply input circuit board. Externally, I connected a Signal Cable MagicPower cable (10 gauge wire). This made a considerable difference in bass definition and impact. The next thing I did was replace the wimpy 45 MHz master clock crystal with a precision LClock X03 master clock from LC Audio. The X03 is shown in the 3rd picture in the lower right corner (white arrow) and in the 4th picture in the upper left corner (red arrow). As you can see, the XA7ES is jam packed with circuity. There was only one location available that would accommodate the X03 circuit board: behind the face place. This required a disassembly of the face plate, which really entailed removing all of the external chassis coverings except for the rear plate. 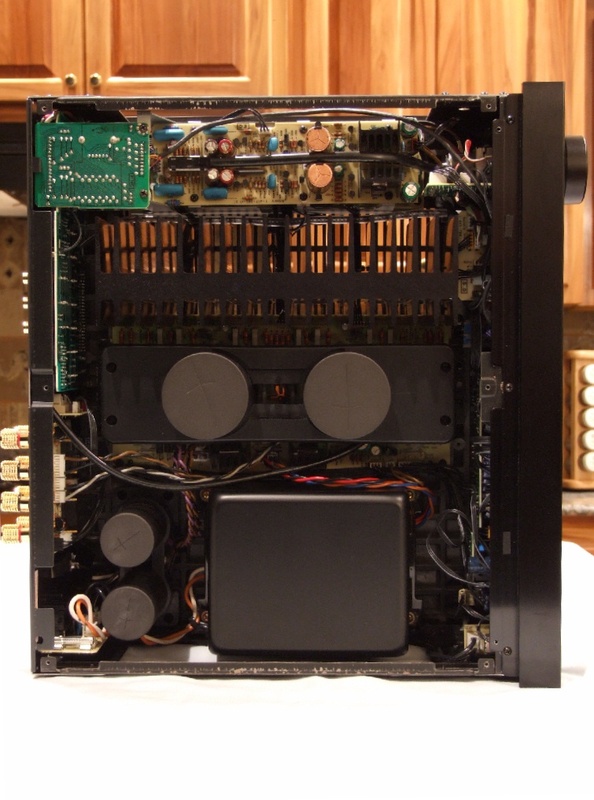 The master clock mod provided further improvements in bass definition, detail, and impact, in addition to improved detail in the midrange and treble. It was well worth the $256 spent for the X03. This player generates as much heat as some amps. The case temperature (measured with a digital thermometer) reaches 103 degrees after a couple of hours of continuous use. Weight: 33 pounds, 1 ounce. 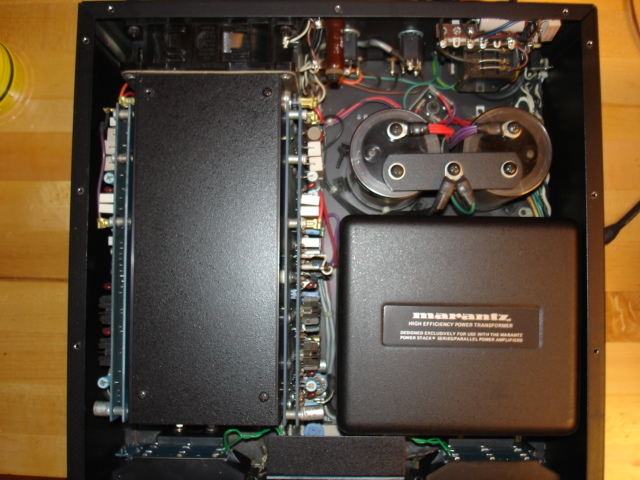 Dimensions: 17"W x 5"H x 14-7/8"D.
From my personal collection of vintage Sony ES components: TA-E90ES from 1996 (MSRP $2,000). Remote controlled, headphone amp/jack, phono stage for MM&MC cartridges. Metal oxide semiconductor (MOS) output stage (something Sony referred to as "MOS Exclusive Design"). 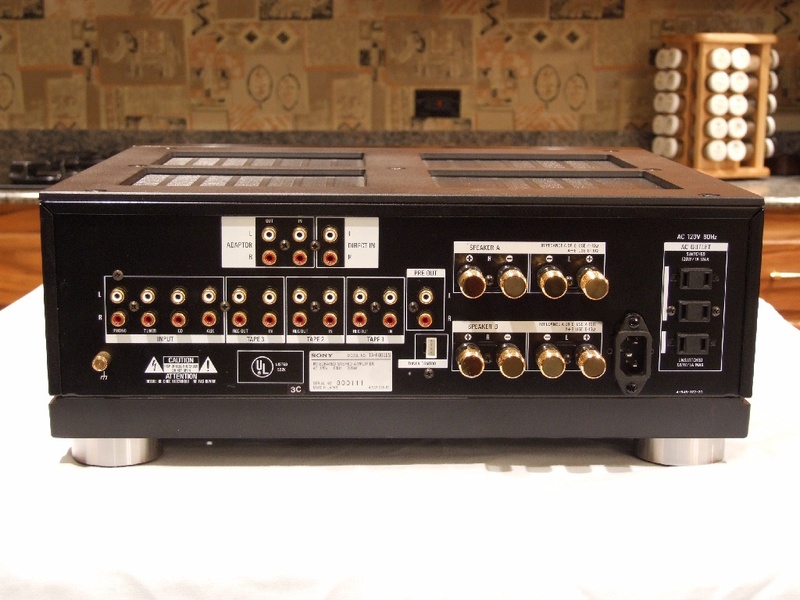 Both XLR and RCA inputs and outputs. 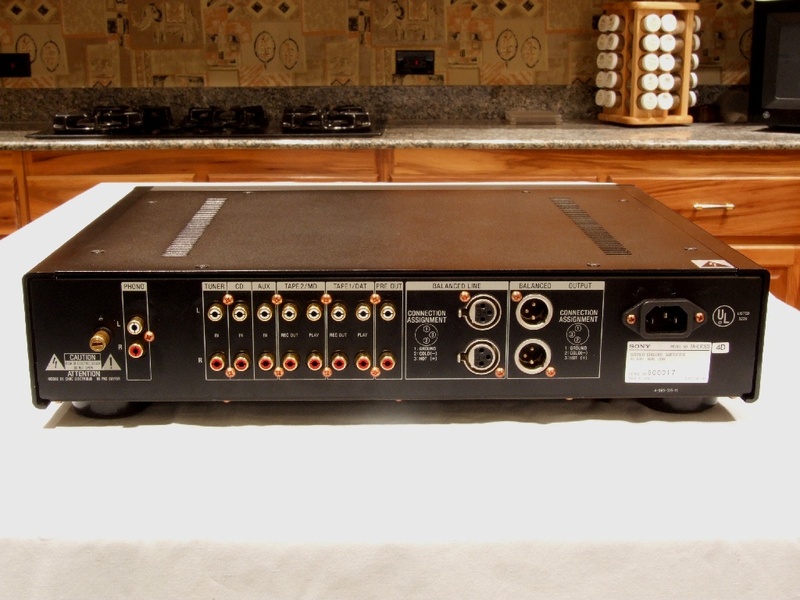 Inputs for CD, aux, tuner, tape1/DAT/tape2, phono). All discrete ciruitry in the signal path. Glass-epoxy circuit boards, shielded toroidal transformer, Elna SILMIC capacitors, copper screws, anti-resonant construction. An IEC power cable jack was installed. This provided the usual improvements in bass performance. Weight: 22 pounds, 11 ounces. Dimensions: 17"W x 4"H x 14-1/4"D.
The case styling matches the XA7ES CD player and the TA-N90ES power amp. Weight: 48 pounds, 1 ounce. Dimensions: 17"W x 7"H x 17-3/8"D.
Those are some really nice Sony components. They are indeed really nice looking Soneaux, by the way. 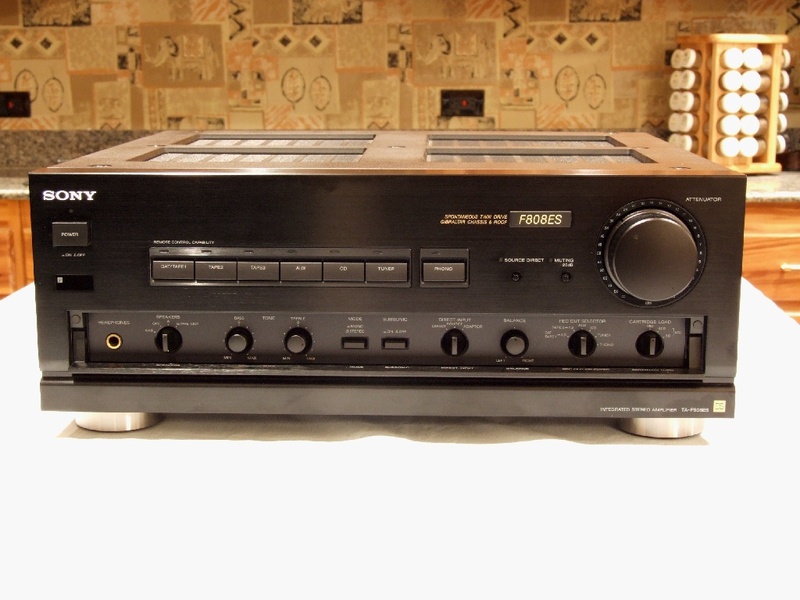 From my personal collection of vintage Sony ES components: TA-F808ES from 1998 (MSRP $1,700). 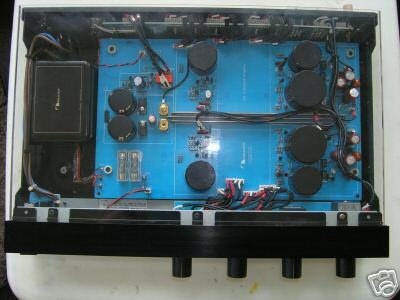 It provides 90 watts per channel into 8 ohms, 120 watts per channel into 4 ohms. Features a very clean phono section for MM and MC cartridges, heavy weight metal and vibration damping polycarbonate "Gibraltar" chassis, and remote control. 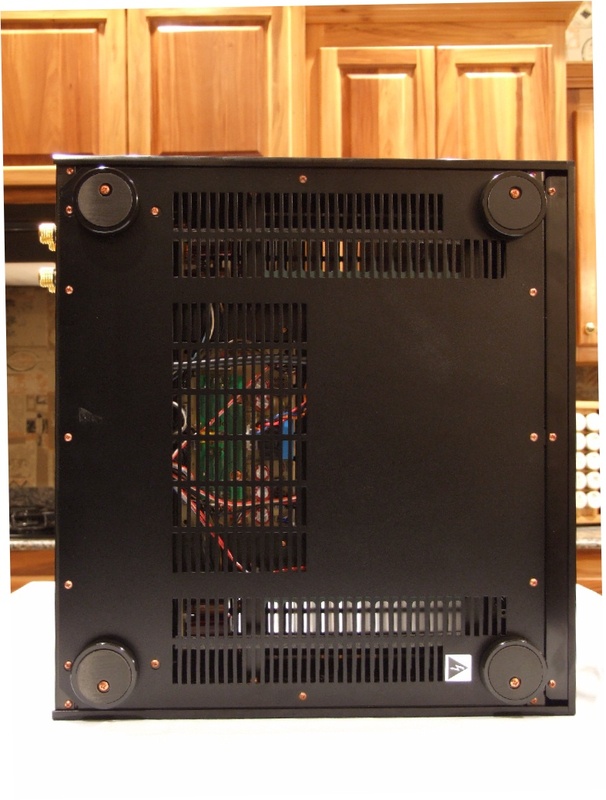 The face plate of this amp is extruded anodized aluminum that is 1/8" thick along the front part and and 3/16" thick along the top part. 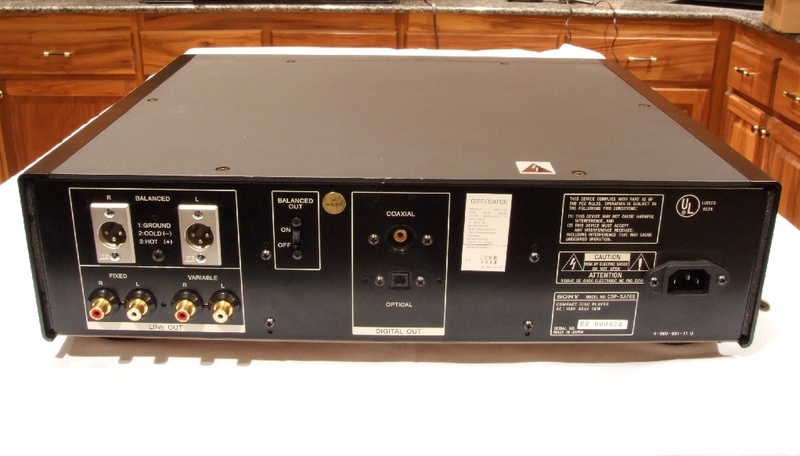 Some Sony ES tuners can be connected to the tuner control port on the rear of the unit and controlled by the amps remote. Sony charges $47 for the cable. Fortunately I found one on eBay on for $20. 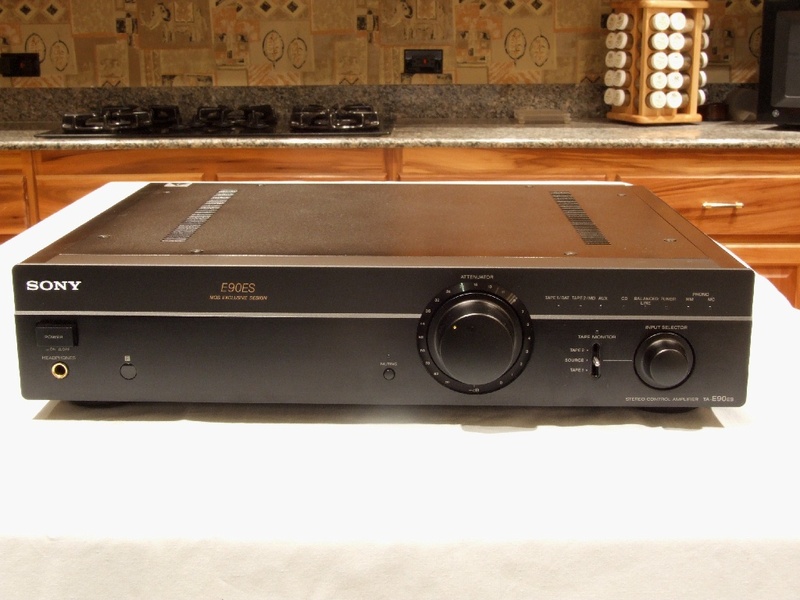 This TA-F808ES is used with the Sony ST-R730ES tuner shown in the 5th and 6th pictures. Weight: 51 pounds, 10 ounces. 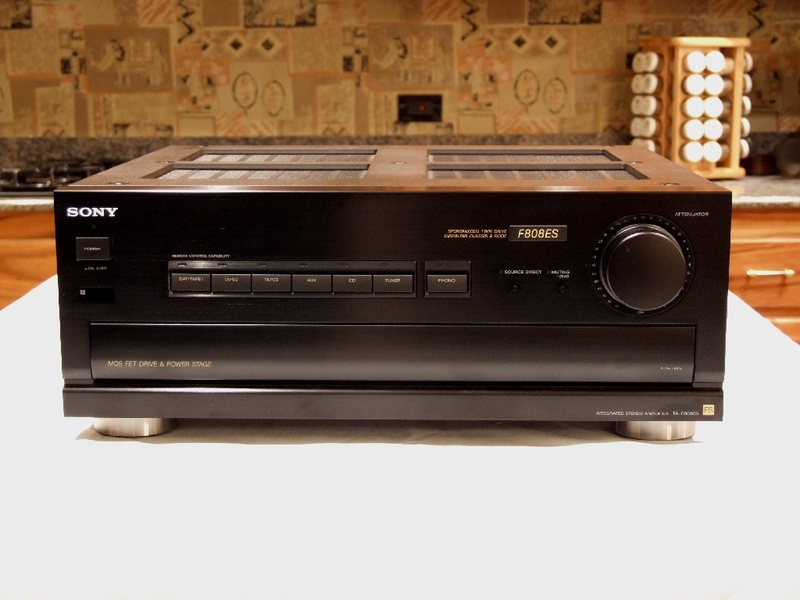 Dimensions: 17"W x 6-3/4"H x 17-1/4"D.
Sony just doesn't make 'em like that any more. 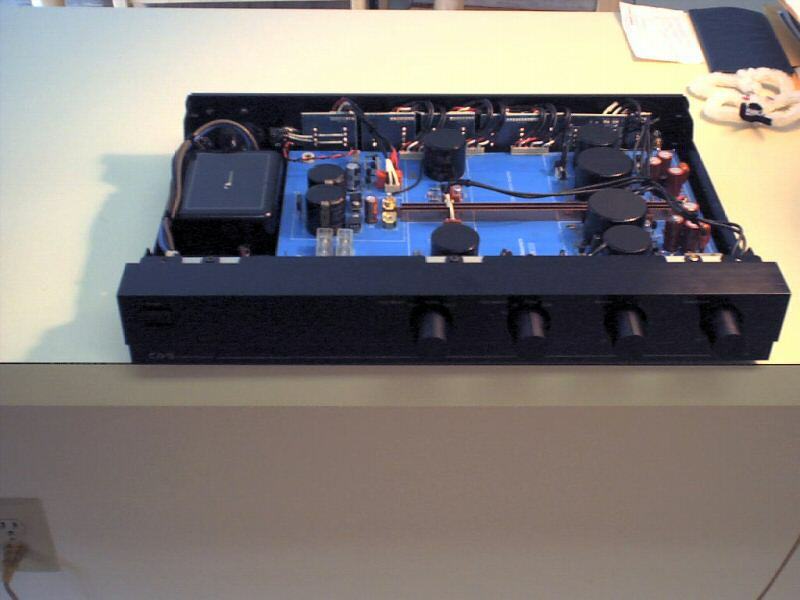 How about this incredible ADC B100 vacuum tube preamp? I stumbled onto this on eBAY for $13. It had a problem with one channel. Long story short... it went back to live with its original designer, Mark Deneen (now the proprietor of Juicy Music and a heck of a guy and a preamp designer/builder). Thirteen 6922's in there. Not to mention a pair of Jensen step-up transformers for MC cartridges. 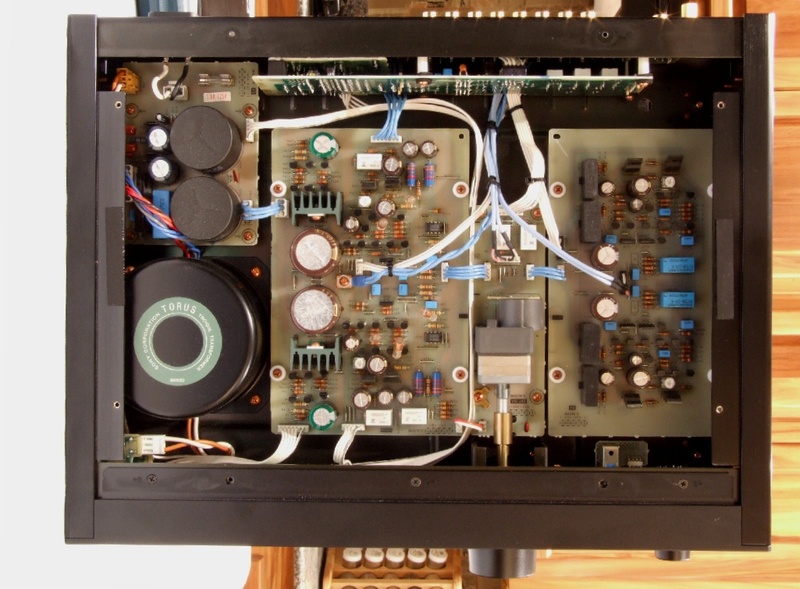 How about a McIntosh C28 preamp? This little guy is hooked up in the basement. 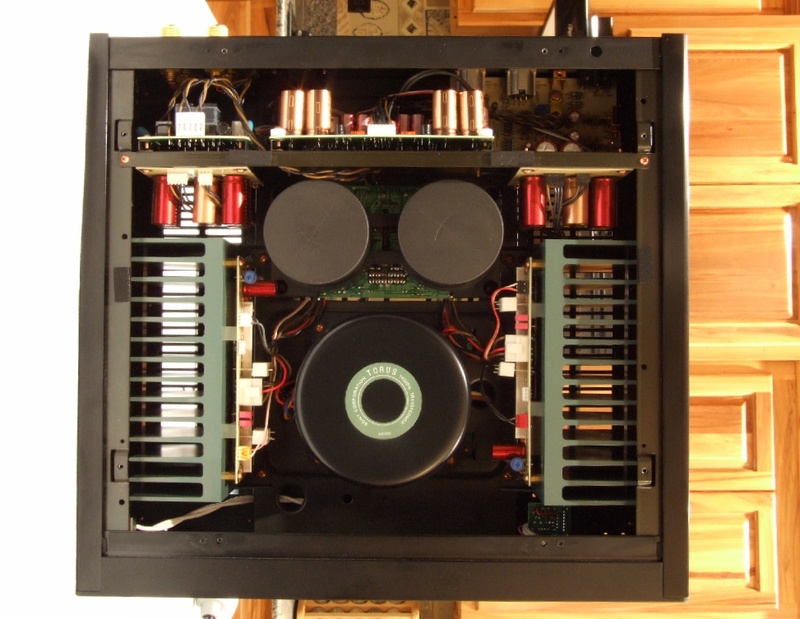 Marantz 510M Power amp. 256 wpc @ 8 ohms. Build 1974 - 1978. 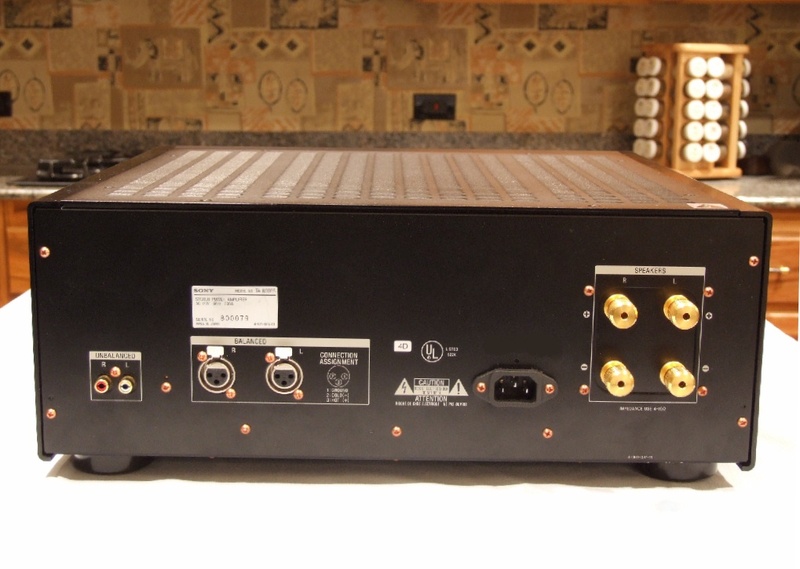 This was the flagship unit for their power amp. 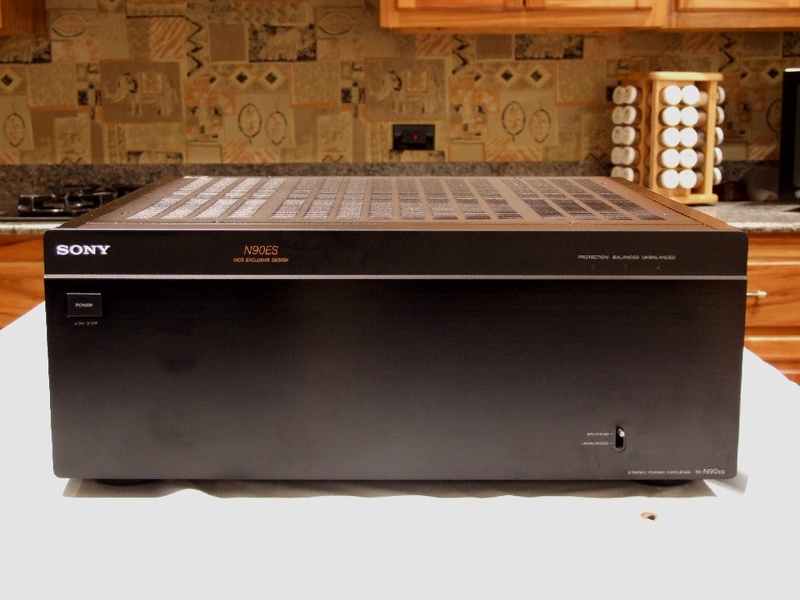 Similiar amplification circuitry was used in their famed 2500 and 2600 receivers. 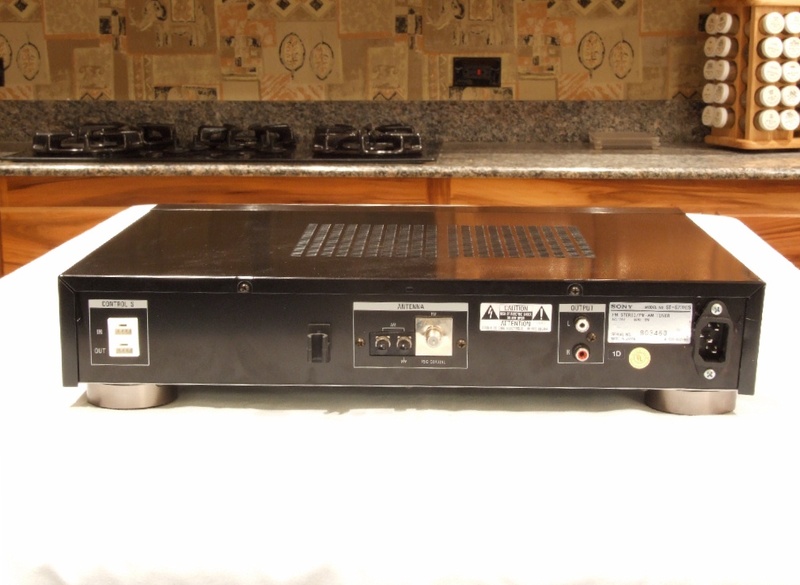 The cooling system was supposedly a NASA concept:rolleyes: The fan can be a little noisy, but the amp can power just about anything. 0.03% THD at rated conditions. 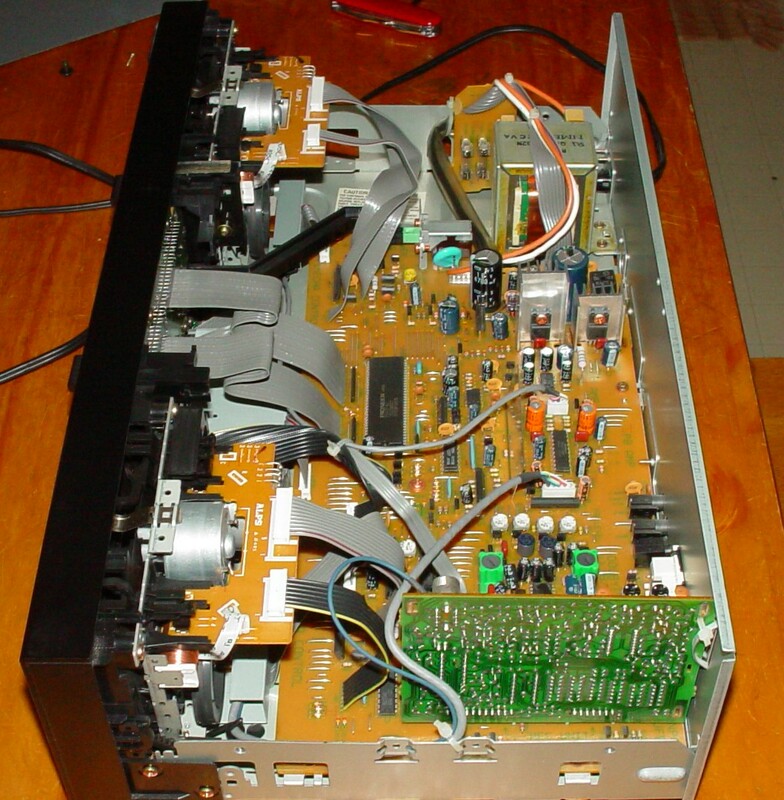 Any interest in the innards of a Yamaha R-1000? Not quite up to the CR-xx20 or even CR-xx40 receivers, but not half bad sounding. Plus, the price was right (picked it up at the 'swap pile' at our town transfer station, a/k/a dump). 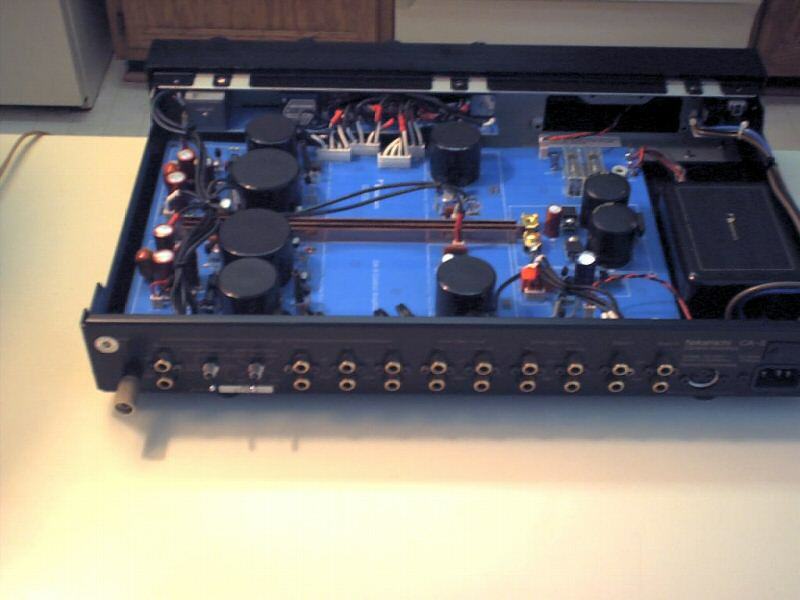 Howzabout a Soundcraftsmen PE2217 preamp/equalizer? For some reason, I had two of these beasts for a while. Nice epoxy PCB's, if nothing else. Pic of the Buggtussel Somu crossover -- point-to-point, all parts glued onto a small block of wood. Are those blue things NP electrolytics? If so, shame on them! I'd love to upgrade the crossovers, but it would be too much of a hassle. Probably would need to start from scratch. 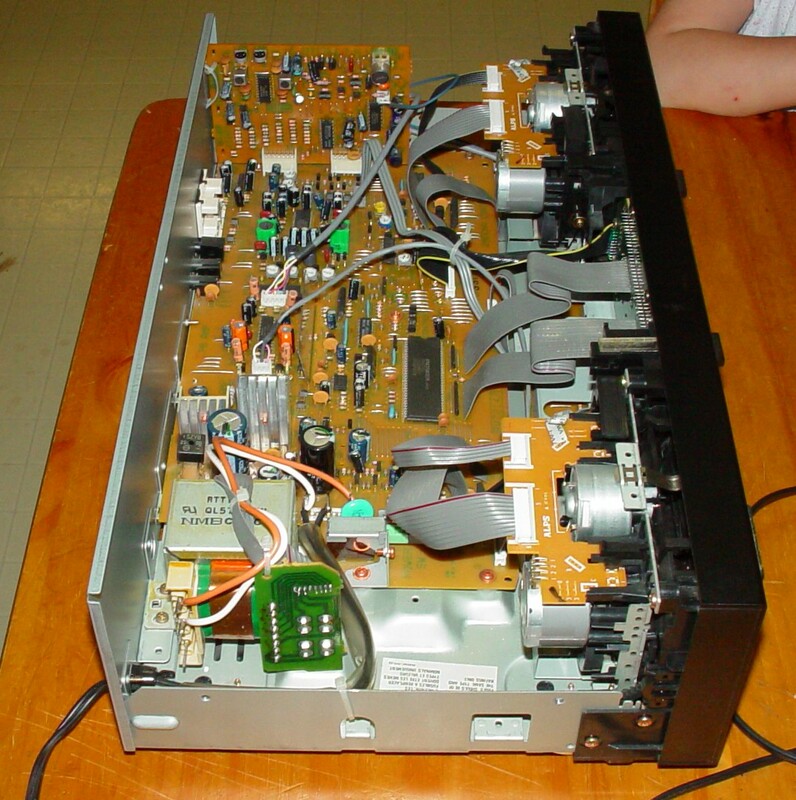 The transformer in this thing is pretty big for a tape deck. It's been in my collection since 1988, and it's still running strong. 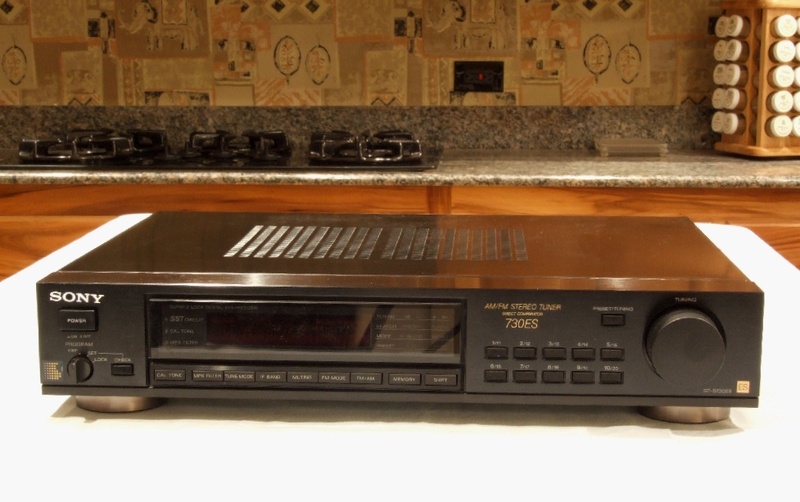 It's a great tape deck IMO. 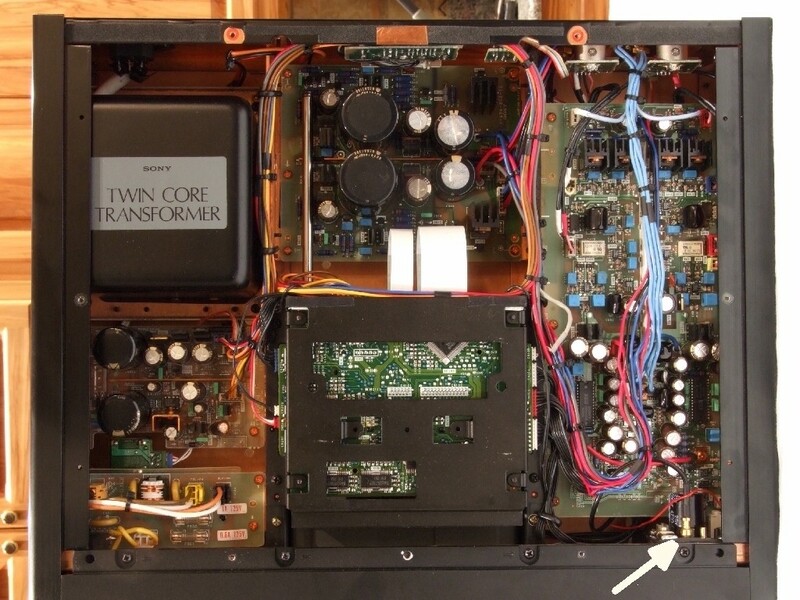 The transformer in this thing is pretty big for a tape deck. BTW and FWIW, here're the naughty bits of a Fisher 500C (mine, actually, as re-hab'bed by NOSValves for its original owner). Nice deck! What does that thing weigh? No luck finding the manual huh? Naw... just forgot. I'll check today... it's SATURDAY! I've had a couple of those and they're pretty nice. I like the exposed cassette look on that whole series. I love the clean look and layout of my Nak pre. 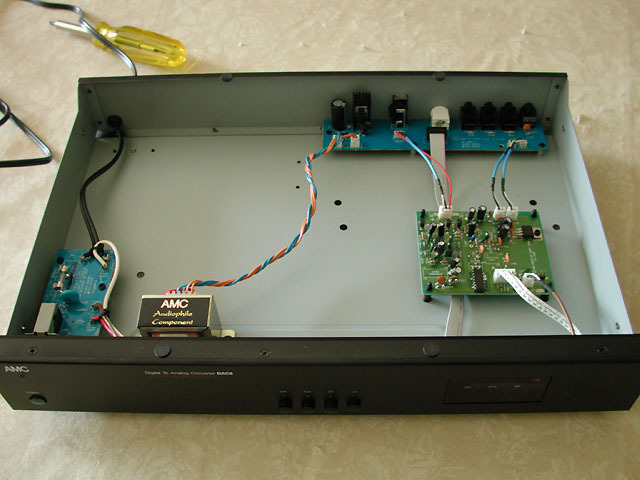 I was a bit disappointed in the guts of the AMC DAC8. 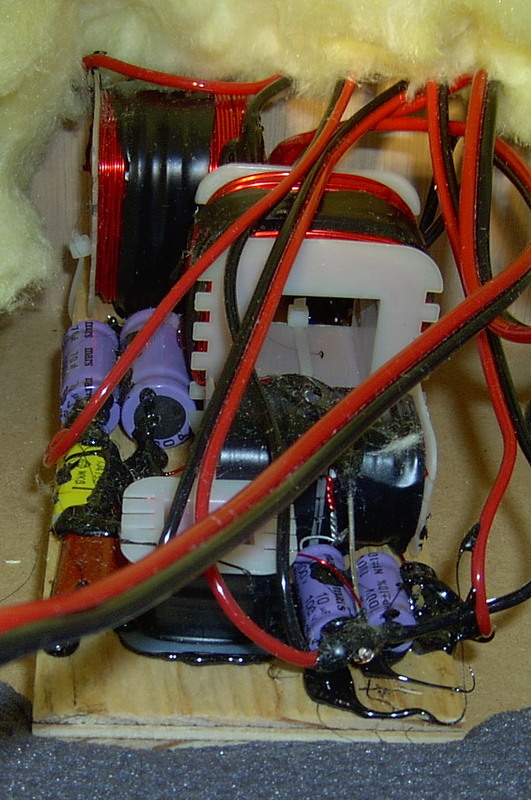 The chassis and face plate are heavy, but the guts are very sparse.